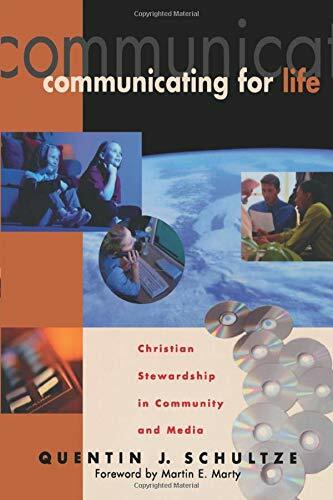 Offers a holistic Christian view of communication, showing the vast array of implications for using this gift to responsibly work toward peace and justice. Quentin J. Schultze (Ph.D., University of Illinois) is professor of communication arts and sciences at Calvin College. He is the coauthor of several books, including Internet for Christians and Dancing in the Dark: Youth, Popular Culture and the Electronic Media.